The Burke Museum has led discovery and preservation of our state’s natural and cultural history for 130 years. The museum’s collections are tools that help us better understand the past and plan for our future. Today, these collections are severely compressed in spaces that lack environmental controls needed to properly care for fragile, irreplaceable objects. We can change that. A new state-of-the art facility with climate control, cutting-edge labs, and larger collections spaces will reveal hidden collections and protect them for generations to come. Exhibits and learning areas integrated into museum working spaces will engage the public with the ever-changing activities of the Burke. 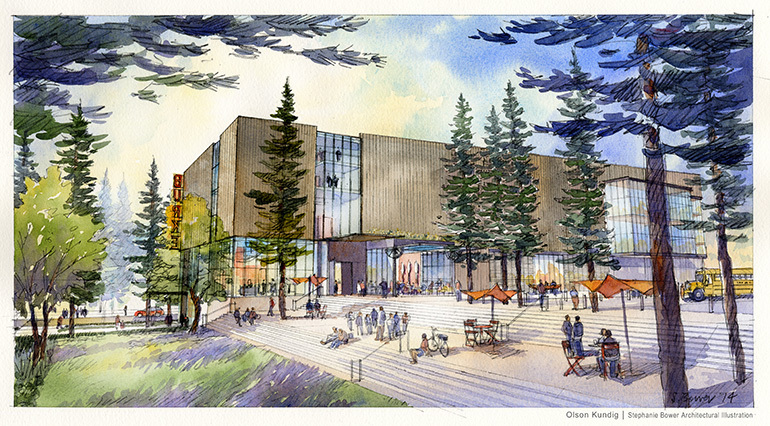 This facility will provide the foundation for the next 100 years of curiosity and discovery, inspiring students to examine, uncover, and celebrate our rich Northwest heritage. By supporting the New Burke, you can help us build a new kind of museum—one that breaks down traditional museum barriers, inviting the public to see inside its collection of over 16 million priceless objects.